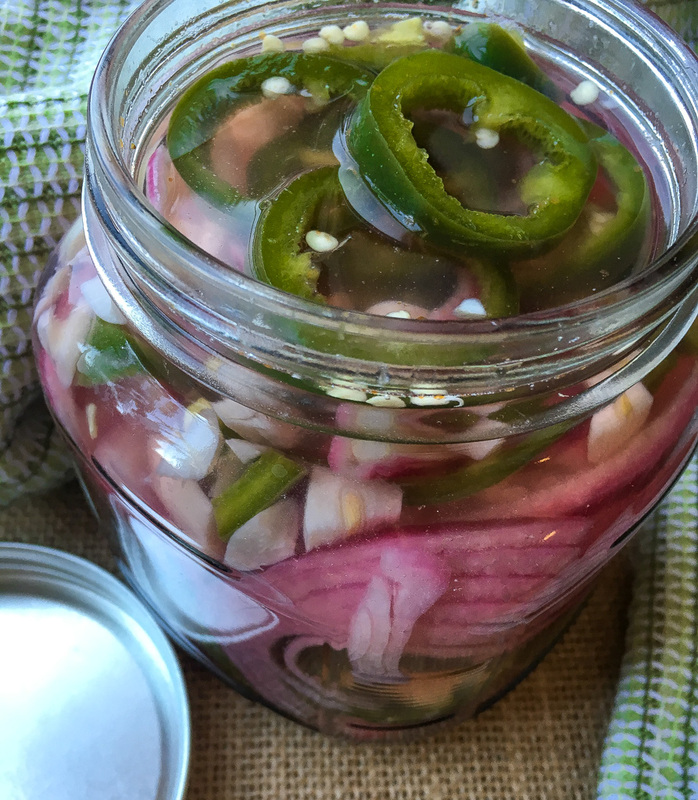 These gluten free quick-pickled jalapeno peppers and onions are delicious on top of your favorite Mexican or Tex Mex dishes. They can also be enjoyed on their own, or in wraps, salads, or anywhere you want a little extra spice. For a nice twist, try the pickling liquid in place of plain vinegar in homemade vinaigrettes and marinades. Wear gloves when handling jalapeno peppers to prevent burning. Combine vinegar, water, salt, honey, and minced garlic in a saucepan over medium heat. Whisk to combine and heat until honey is thoroughly dissolved. Remove from heat and set aside. 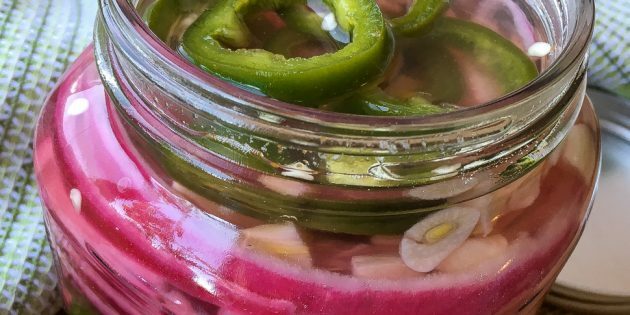 Place the sliced onion and peppers in a glass jar with a tight-fitting lid. Pour pickling solution over the contents of the jar to cover completely. Let sit, uncovered, for at least one hour at room temperature. Enjoy immediately or cover and store in the refrigerator for up to one week. If you click on any of the links associated with this blog we will receive a small stipend!! Thank you for supporting my recipe addiction!! 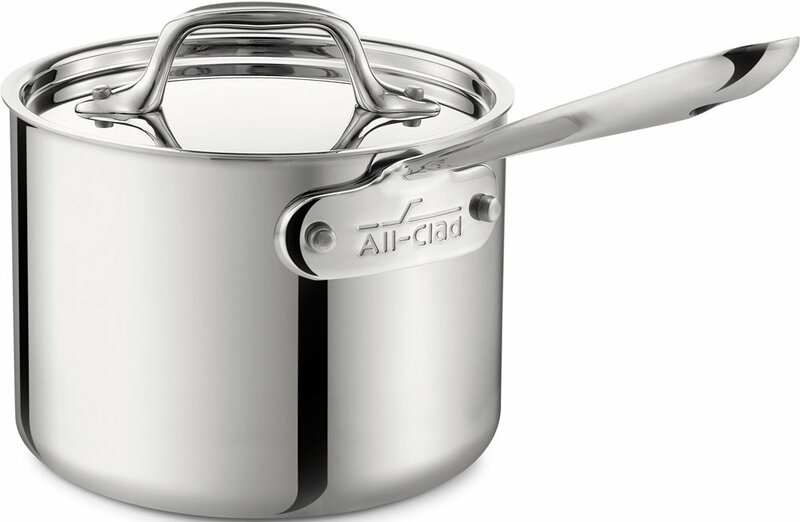 For a great saucepan that will last you a long time try out the All Clad Saucepan. They cook evenly and are easy to clean. The handle is riveted on with huge rivets, its never coming off, and feels really comfortable in your hand. In the past I have tried many different saucepans and this is the one that has worked the best for me and lasted the longest. While a little on the expensive side of life I feel that if your going to make an investment on some good cookware then you cannot go wrong with this saucepan. Click on the link and try it out you will be happy you did! Mason jars have so many uses! I use mine for literally everything! They come in all different sizes from as small as the 4 oz ones to as big as 64 oz ones. I’ve used the small 4 oz mason jars to make homemade lip balm from the bee wax that we collected from our hives and they worked perfect!! 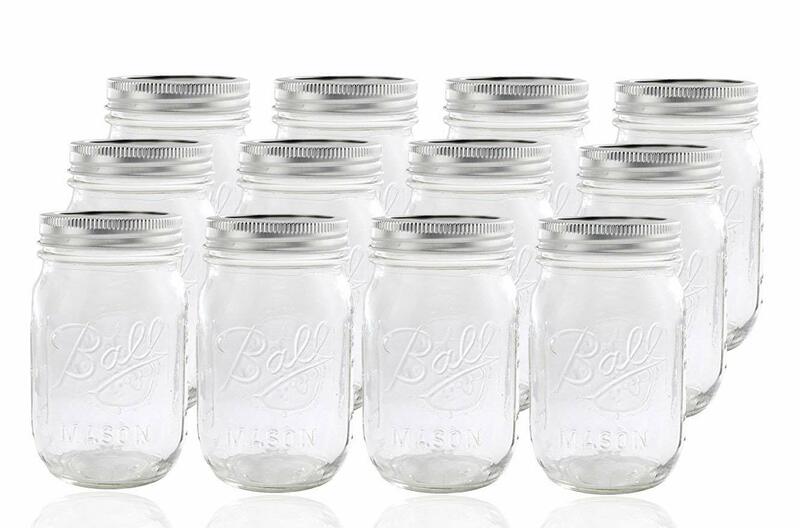 The 64 oz mason jars are perfect for large canning jobs or decorating and so much more. For this recipe I used my pint sized mason jars which are the 16 oz jars. If you do not have any mason jars laying around or if you need to stock up, click on the link and snag some you will find a million and a half ways to use them!! !